It is finally here. The biggest game of the season so far as Torino make their shortest trip of the season - just 12km - to face their most hated rivals Juventus on Saturday evening. 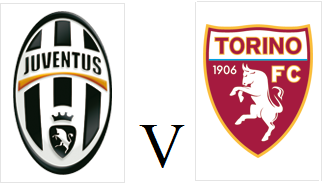 In the build up for this match, much has been made of the fact that this derby is perhaps more important for Torino fans than their Juventus counterparts, many of whom probably weren't even born the last time they lost to the Granata (for the record it was April 9th 1995). Whilst this game is probably more important for Torino, Juventus are the team that has it all to lose - they are expected to win - and this should allow Torino a certain amount of freedom to express themselves, and not just be content to 'park the bus'. Now I'm not suggesting that Giampiero Ventura sends his team out to attack with reckless abandon, but Torino have shown on many occasions this season that they are defensively well organised, and as the 5-1 victory at Atalanta highlighted, they are able to counter attack with both pace and intelligence. 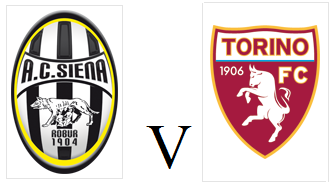 Therefore, if Toro are to get anything from this match, it is essential that they continue to do these three things, and perhaps most importantly, that they do not get overawed by the occasion - which admittedly may be difficult given the lack of Derby della Mole experience within the squad. 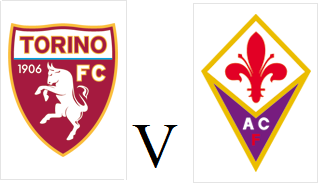 Another key factor in this match will be the battle of the 'registas' - Andrea Pirlo vs...... well Torino don't actually have a deep lying play maker. Therefore, it is absolutely essential that Toro do not allow Pirlo to dominate the midfield with his excellent array of long and short passing. When Juventus' long unbeaten record was finally broken by Inter at the beginning of the month, they were able to press the veteran midfielder extremely effectively, and with two high energy defensive midfielders - Alessandro Gazzi and Migjen Basha - Torino will hopefully be able to emulate Inter, and nullify the obvious threat of 'The Bearded Genius'. Juventus are almost certain to dominate the majority of statistics, but the only one that will matter at the end of ninety minutes will be the final score - and in order to keep La Vecchia Signora from scoring, Jean-Francois Gillet will have to to be at his very best. The Belgian goalkeeper has had a great season since signing for Torino in the summer, and he will have to be in fine form on Saturday evening for Torino to get a result. Former Torino goalkeepers Stefano Sorrentino and Federico Marchetti have both performed miracles against the Bianconeri so far this season, and Gillet certainly has the ability to do the same. Juve face a difficult game against Shakhtar Donetsk on Wednesday night, as they need at least a point in order to guarantee qualification from their Champions League group. Now although a draw would be enough to send both teams through, the Ukrainian champions will certainly be wary of looking to 'play for a draw' - especially after incurring the wrath of the footballing world after Luiz Adriano's controversial goal against Nordsjaelland a fortnight ago. Therefore, Juventus will certainly have one eye on that fixture, and whilst I don't expect Antonio Conte to rest too many of his regular starting eleven, those players who do play may foolishly attempt to conserve energy for that fixture - which Torino could capitalise on. Key players Arturo Vidal and Giorgio Chiellini have recovered from injuries to be included in the Juventus squad, although Martin Caceres misses out. Torino have almost a fully fit squad to choose from, and Giampiero Ventura has included a hefty 23 players in the travelling party for this match. I would expect Torino to line up in a 4-2-4 formation whilst in possession, that reverts to a 4-3-3 when out of possession. The key player for this potential plan is veteran midfielder and Joey Barton look-alike Giuseppe Vives, who despite naturally being a central midfielder, has featured on the left side of midfield a number of times in his Torino career. Now on my normal match previews this is where I would provide a score prediction for the upcoming match. However on this occasion, as a superstitious person, I can't make a prediction for the derby, just in case my guess somehow jinxed the final outcome (stupid I know). However, as long as the team gives it absolutely everything, and leaves it all out there on the field - then whatever happens come the final whistle, I will still be proud to be a Torino fan. One stat that does not make for pleasant reading is the fact that Torino haven't even scored a goal against Juventus in over a decade (February 2002), and that certainly needs to be rectified as soon as possible - hopefully by this time tomorrow. A second string Torino side crashed out of the Coppa Italia on Wednesday evening after a 2-0 defeat against Siena. With Giampiero Ventura fully concentrated on this weekend's Turin derby, the veteran coach made ten changes from the side that drew with Fiorentina - with only Matteo Darmian keeping his place in the team. Although Torino were using this game as an opportunity to rest a number of their first choice squad, a number of players were eager to impress ahead of the derby. Young goalkeeper Lys Gomis made two good saves to deny Siena taking a first half lead, whilst at the other end, Alen Stevanovic twice had good opportunities to give Torino the lead. One minute after half time, Siena took the lead as a cross from former Toro player Alessandro Rosina was inadvertantly deflected by Guillermo Rodriguez into the path of Brazilian striker Zé Eduardo who literally could not miss from two yards out. Without their normal star names, Torino struggled to create chances and with thirteen minutes remaining Siena put the result beyond doubt as Rosina once again turned provider to give Reginaldo the simple task of tapping in from six yards. In the closing stages Torino had two half-chances to get on the score sheet as Sergiu Suciu and then Valerio Di Cesare came close to scoring a consolation goal - but Toro couldn't find a breakthrough and were eliminated. Ahead of Torino's biggest game of the season against Juventus on Saturday evening, Torino have an unwanted distraction to deal with beforehand - a Coppa Italia clash with Siena on Wednesday evening. Giampiero Ventura has wisely decided to rest the majority of his first team squad for this match, although fringe players such as Sergiu Suciu, Simone Verdi and Valerio Di Cesare should get a much needed run out. Unfortunately talented youngsters Marko Bakic and Abou Diop have picked up injuries in training, so Torino fans will have to wait a bit longer to see them in action. With Siena's primary focus being to avoid relegation, they may also choose to rest a number of first team players - so this game could be a bit more exciting than the 0-0 draw these two teams played out on the opening day of the season. Torino took the lead twice against high-flying Fiorentina, but the Viola fought back to earn a 2-2 draw at the Stadio Olimpico on Sunday afternoon. Giampiero Ventura made just the one change from the team that were beaten by Roma on Monday, as Riccardo Meggiorini replaced Alessandro Sgrigna upfront. The only significant incident in the opening thirty minutes was a nasty clash of heads between Torino defender Kamil Glik and Fiorentina striker Luca Toni which led to both players being substituted. Five minutes before half time, Torino opened the scoring with their first shot on goal, as two former Fiorentina players combined when Mario Santana delivered a perfect cross to find an unmarked Alessio Cerci who scored his first goal for the club. Fiorentina, who had won their previous five matches, had a chance to equalise before the break, but Mati Fernandez's shot went wide of the post. And Torino could have doubled their lead with the last kick of the half when Mario Santana went on a slaloming run past four Viola defenders, before his shot was saved by Emiliano Viviano - and on reflection, he probably should have played in Alessio Cerci who was once again unmarked. Alessio Cerci was continuing to create problems against his former side, and after good work down the right wing, he cut in with his left foot and forced Viviano into making another save. However Fiorentina were not rolling over, and in quick succession Gonzalo Rodriguez and Haris Seferovic both came close to scoring an equaliser. With fifteen minutes remaining, Fiorentina did get back on level terms, as for the second game in succession Danilo D'Ambrosio conceded a controversial penalty. On this occasion there did seem to be slight contact with Juan Cuadrado, but the Colombian certainly did make the most of it. Centre back Rodriguez made amends for his missed chance minutes earlier, as he sent Gillet the wrong way to make it 1-1. Incredibly however, Torino regained the lead less than two minutes later, as a low cross from substitute Valter Birsa evaded everybody and went straight into the bottom corner. It initially looked as though fellow substitute Alen Stevanovic had made some contact on the ball, and although he didn't - he did seem to distract Viviano away from the ball. That goal looked as though it may be enough for all three points, but in the closing stages Fiorentina fought back once again as Mounir El Hamdaoui collected Cuadrado's pass and fired a fierce shot into the bottom corner. The Granata will be disappointed by the fact that they let the lead slip on two occasions, but against an in-form Fiorentina side, a point is certainly a respectable result. Torino are back in action on Wednesday evening in the Coppa Italia, which will provide an unnecessary distraction ahead of the biggest game of the season so far - the derby against Juventus - on Saturday night. Torino face high-flying Fiorentina on Sunday afternoon as they look to return to winning ways after losing at Roma last time out. Alen Stevanovic and Riccardo Meggiorini have both returned to the squad after being absent for the trip to the capital, whilst for the second game in a row, Alessio Cerci will come up against a former team. Rolando Bianchi has not scored for seven games and will be looking to end that mini goal drought, whilst Gianluca Sansone could replace Alessandro Sgrigna upfront. Fiorentina have been in great from this season and have won their last five Serie A games, including convincing victories over Cagliari, AC Milan and Atalanta in recent weeks. However, the Viola will be without star striker Stevan Jovetić who is injured, whilst Chilean midfielder David Pizarro is also out. Torino's unbeaten away record ended last night as they fell to a controversial 2-0 defeat against AS Roma after goals from Pablo Osvaldo and Miralem Pjanić. Giampiero Ventura made three changes from the team that beat Bologna last week, as Angelo Ogbonna, Mario Santana and Alessandro Sgrigna came into the starting eleven. Zdeněk Zeman set his team out in his typical ultra attacking style (as illustrated by this photo) and striker Pablo Osvaldo had two early chances to give his side the lead, but on both occasions the Argentine-born Italy international missed the target. Roma were continuing to create chances, but they were failing to test Torino keeper Jean-Francois Gillet, and captain Francesco Totti was also guilty of shooting wide when well placed. As expected Torino were playing on the counter attack, and had an opportunity when former Roma player Alessio Cerci outpaced Michael Bradley and provided a cut-back for Rolando Bianchi, but his shot was saved by Mauro Goicoechea. The home side struggled to create chances in the second half as the Torino defence held firm, with Polish international Kamil Glik particularly impressive in denying the Giallorossi. However, after seventy minutes the turning point arose when the home side were awarded a penalty in controversial circumstances. Initially referee Marco Guida turned down Roma's appeals for a penalty after substitute Marquinho went down after a challenge by Danilo D'Ambrosio. That seemed to be the right decision as there was minimal if any contact at all - but incredibly, after Roma appealed to the official behind the goal, the referee changed his mind and awarded the home side a penalty. Pablo Osvaldo stepped up to take the spot-kick, and he calmly waited for Gillet to dive before side footing the ball in the opposite corner. Simone Verdi and Abou Diop came on to make rare appearances as Torino searched for an equaliser, but with five minutes remaining Roma put the result beyond any doubt as Miralem Pjanić's low shot deflected off Alessandro Gazzi and into the net. This defeat ended Torino's run of impressive results away from home, and although they were a little wasteful in the final third - until the controversial award of a penalty, the Granata looked to be on track for a point at the very least. With difficult games against Fiorentina and Juventus in the next fortnight, Toro will have to put in impressive performances in order to gain any points. Torino will be looking to keep their unbeaten away record intact when they travel to the capital to face Zdeněk Zeman's Roma on Monday night. Angelo Ogbonna has recovered from injury and should return to the starting eleven, most likely at the expense of Uruguayan defender Guillermo Rodriguez who has impressed whilst deputising for the Italy international. Gianluca Sansone should keep his place up front after impressing in recent weeks, but veteran midfielder Giuseppe Vives misses out through illness. Since arriving from Fiorentina in the summer, Alessio Cerci has been one of Torino's star performers this season, and he will be keen to impress against the side he only made thirteen appearances for in five seasons. 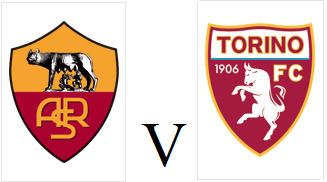 Roma have been very unpredictable this season, and in their last five games they have won 4-1 and 4-2, but they have also lost 3-2 on three occasions - most notably in the Rome derby last weekend. After being sent off in that game, Daniele De Rossi is suspended for this fixture, as are Nicolas Burdisso and Panagiotis Tachtsidis. Argentine winger Erik Lamela has flourished under Zeman's 4-3-3 formation, and having scored in Roma's last six matches, the Torino defence will have to keep the former River Plate man quiet. Torino finally secured their second home win of the season with a deserved 1-0 victory over Bologna on Sunday afternoon. Giuseppe Vives was once again preferred to Mario Santana in midfield, as his inclusion enabled the Granata to switch to a 4-3-3 when out of possession. Gianluca Sansone was also rewarded for his injury time equaliser against Napoli, as he partnered Rolando Bianchi upfront. The away side had the first opportunity of the game, but former West Ham player Alessandro Diamanti saw his shot go wide of the post. Alessio Cerci was causing the Bologna defence a number of problems, and his left footed cross picked out Gianluca Sansone who back-heeled the ball towards goal, but was denied by Federico Agliardi. Sansone was continuing to impress upfront, and a nice one-two with Rolando Bianchi put the Torino captain through on goal, but he blazed his shot over the bar. Giampiero Ventura made an attacking switch at half time as Giuseppe Vives was replaced by Mario Santana, but it was Gianluca Sansone who once again came closest to opening the scoring - this time from a 30 yard free kick that was turned over the bar by Agliardi. And the Granata finally took a deserved lead from the resulting corner, as Santana's deep cross was headed in by Danilo D'Ambrosio, who had been given the captain's armband only minutes before following Rolando Bianchi's substitution. Alessandro Diamanti continued to be a threat for the away side, and once again he tried his luck from distance, but thankfully for Torino his shot went narrowly wide. Torino almost doubled their lead in extraordinary fashion in the closing stages, but substitute Riccardo Meggiorini saw his 30 yard dipping volley saved by Agliardi. Toro held on for only their third victory of the season, and with tough games against Roma, Fiorentina, Juventus and Milan on the horizon, this was certainly a crucial three points. 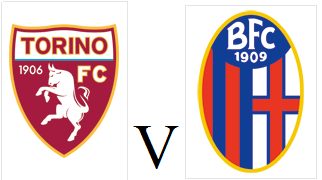 Torino will be looking to end their miserable home record when they face struggling Bologna on Sunday afternoon. The Granata have lost their last two home matches, and have not won at the Stadio Olimpico since beating Pescara on September 1st. However, Angelo Ogbonna is back in contention after recovering from injury, although Giampiero Ventura may choose not to risk the defender because he has not played at all in over a month. After impressing in the draw against Napoli, Mario Santana and Gianluca Sansone could be rewarded with starting positions - whilst Rolando Bianchi will be looking to end his mini goal drought which has now stretched to five matches. Bologna have also struggled to win in recent weeks, although they did end a run of four consecutive defeats with a draw against Udinese last time out. The rossoblù are currently in the relegation zone, but with players of the quality of Alessandro Diamanti and Alberto Gilardino in their ranks, they will back themselves to get out of trouble before the end of the season. Football really can be a strange game, as Gianluca Sansone - the villain after being sent off last weekend against Parma, scored an injury time equaliser to earn Torino a deserved point at the San Paulo on Sunday afternoon. Toro only made two changes from the side that earned a creditable 1-1 draw at Lazio on Wednesday as Migjen Basha and Giuseppe Vives replaced Matteo Brighi and Mario Santana. However, the Granata made the worst possible start and were behind after only six minutes when the returning Edinson Cavani gave the home side the lead. The Toro defence switched off as Hugo Campagnaro's long throw found an unmarked Marek Hamsik, and his shot was parried straight to the Uruguayan striker by the usually reliable Jean-Francois Gillet. Toro reacted well after going behind, and came very close to scoring an equaliser ten minutes later as Alessio Cerci's cross found Rolando Bianchi, but his bullet header was well saved by Napoli keeper Morgan De Sanctis. Napoli could have doubled their lead when Goran Pandev's long range shot was deflected by Kamil Glik, but luckily for Toro, the ball went wide of the post. On the stroke of half time, Alessandro Gazzi made a crucial last-ditch tackle to prevent former Torino player Blerim Dzemaili shooting from long range, however he was injured whilst making the challenge and had to be replaced by Matteo Brighi at the break. With Napoli aware of Torino's counter attacking threat, they allowed Torino to dominate possession, and this looked to be a dangerous tactic as the Granata grew in confidence. A quickly taken free kick from Giuseppe Vives almost gave Alessandro Sgrigna a chance to equalise, but the experienced striker failed to make contact with the ball. The away side continued to create half-chances, but when Alessio Cerci blazed over the bar and substitute Mario Santana's long range shot was straight at De Sanctis, it looked as though they wouldn't get the point their second half play had merited. And Napoli should have put the result beyond any doubt moments later when Lorenzo Insigne robbed the ball from Matteo Darmian and put Marek Hamsik through on goal, but after rounding Gillet, the Slovakian midfielder could only hit the post from a difficult angle. And then in injury time, Napoli were punished for that miss as a dreadful back pass from substitute Salvatore Aronica put Gianluca Sansone through on goal - and he was able to round De Sanctis and calmly pass the ball into the net to earn Toro a deserved point. This impressive result increased Torino's unbeaten record away from home to six matches, but after losing their last two home matches - Torino will hope to improve their form at the Stadio Olimpico, starting next Sunday against Bologna. Torino will travel to Naples on Sunday afternoon looking to continue their fine away form, despite the fact they didn't win a game in the whole month of October. 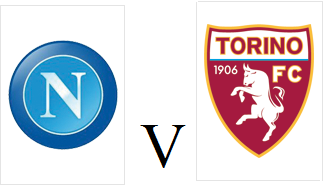 The Granata have won one and drew four of their five away games this season, although the trip to the Stadio San Paulo promises to be a tough one, as Napoli have won all five of their home games this season. Angelo Ogbonna could be on the bench for this game but is not expected to start, so Kamil Glik and the impressive Guillermo Rodriguez should keep their places in defence. Rolando Bianchi should also keep his place upfront, despite the fact that the striker (who has been linked with a move to Napoli) has not scored since scoring his 70th goal for the club against Atalanta back in September. Napoli had made an impressive start to the season, and looked to be serious scudetto challengers, but they have now lost successive away games against Juventus and Atalanta and have moved down to third place. However, it is at home where they have really impressed - and with Edinson Cavani expected to recover from injury for this game, the Torino defence will have to wary of the Uruguayan striker. Torino's unbeaten run away from home stretched to five matches as they picked up a creditable 1-1 draw at Lazio on Wednesday night. As expected, Rolando Bianchi and Alessio Cerci both came into the starting eleven after being rested against Parma, whilst Mario Santana came into the team after recovering from injury. After the disappointing loss at home to Parma at the weekend, the Granata were keen to make a bright start, and they did exactly that by taking the lead within ten minutes. Alessandro Sgrigna's corner was exquisitely headed in by Kamil Glik, as the Polish international scored his first league goal of the season. After recovering from the shock of going behind, the home side reacted well - as both Antonio Candreva and then Stefano Mauri drilled shots wide of the post. Former Juventus midfielder Candreva once again came close to equalising as he evaded Alessandro Gazzi, but his near post shot was tipped over by Jean-Francois Gillet. On the stroke of half time, Torino almost doubled their lead as a swift counter-attack orchestrated by Danilo D'Ambrosio's interception put Alessio Cerci through on goal, however the ball got caught under his feet and his shot was twice blocked by the Lazio defence. Toro started the second half well, and should have doubled their lead when Alessandro Sgrigna's cross found an unmarked Mario Santana, but the Argentinean's tame header was easily saved by Albano Bizzarri. However, just before the hour mark, the Granata were punished for not taking their chances as the home side finally scored an equaliser. The outstanding Stefano Mauri received Candreva's pass, then took a touch before delivering a fierce left footed shot into the bottom corner from 18 yards out. The Biancocelesti almost took the lead moments later as Tommaso Rocchi beat the offside trap, but after doing the hard part of taking the ball around Gillet, his shot hit the side netting. Once again Lazio skipper Rocchi came close to scoring a undeserved winner for the home side, but this time he was denied by an outstanding block from Uruguayan defender Guillermo Rodriguez, who was doing a fine job of deputising for the injured Angelo Ogbonna. In the end, Torino held on for a deserved point although they may even be slightly disappointed not take all three. With another tough away game on Sunday against Napoli, the Granata will certainly be satisfied if their unbeaten away record continues until next week.